Metal sinks are certainly not what they used to be, and the HC Supplies range of metal sinks is a prime example of how contemporary designs have evolved into innovative and practical pieces for the kitchen. Enjoy fantastic discounts on sleek, sparkling metal sinks from Astracast, Apollo, Bretton Park, Smeg, and many other amazing brands. Explore the vast assortment of metal sinks in many different styles, including round bowl sinks, stainless steel sinks with drainers, and double bowl metal sinks. Opt for a sink that is easy to clean, durable, and looks amazing. Thanks to HC Supplies, buying a designer metal sink doesn't mean going over budget, and you can snap up a branded metal sink for less than half price! Adorn your home with something truly special when you purchase one of our stylish metal sinks. 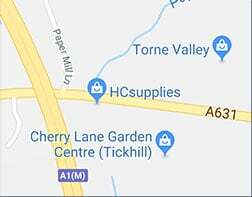 If you want to see our products in person, why not pop into out showroom in Doncaster to discover quality goods at low prices? You can also contact our customer services department for further information about our products by completing the online form, or by giving our team a call. No matter where you are in the UK, HC Supplies can deliver your new metal sink directly to your door. Our delivery services also extend beyond the UK, so if you need your metal sinks to be delivered to Europe or elsewhere, we can make it happen.